Home / Herbs / Plant / The Amazing Herbs of Black Cumin Seed Benefits. The Amazing Herbs of Black Cumin Seed Benefits. Black cumin seed is one of the herbs that has a strong natural healing properties. As the name suggests, cumin is black and thin-shaped like a crescent moon. At first this black cumin concoction comes from Egypt, countries in the Middle East, and is also widely used by Indian society. Black cumin is commonly used as a spice for various types of cuisine in different parts of the world. It has a slightly bitter taste, which is suitable to replace pepper. Black cumin seeds have versatile properties for your body. This type of black cumin seeds not only make your cuisine more delicious, but also improve the health of the body with the nutritional content it has. Black cumin seeds are small like rice with a dark black color like areng. Usefulness of this seed is more often used in the culinary world so not many know the benefits of black cumin for the body. Basic determination of black cumin seeds as a healthy seed that some natural content in it can make your body becomes healthier. This one cumin seeds contain thiamine, calcium, fiber, folate, vitamin E, iron, magnesium, manganese, niacin, carbohydrates, protein, copper, vitamin A, energy, vitamin K, sodium, potassium, fat, vitamin C, , zinc, and many other compounds. You can also prevent some diseases by eating this cumin seeds. Black cumin has the curing properties of stomach-related health conditions. Abdominal disorders such as constipation, and flatulence can be overcome with black cumin. In addition, black cumin is also useful for maintaining digestive health, and can eradicate the intestinal worms. Black cumin contains beta carotene (pro vitamin A), calcium, iron, sodium and potassium. Black cumin also has eight of the nine essential amino acids. Essential amino acids are not produced by our body, so they must be obtained from outside sources. For the purpose of nutritional supplements, you can drink half a teaspoon or Black Seed (black cumin) as much as three times a day. The Crystalline nigellone compound present in cumin has protein kinase C, a substance known to inhibit histamine release. Giving black cumin can reduce allergic reactions in most patients with bronchitis, asthma and other allergic diseases with no side effects. For the treatment of asthma and allergies, take a cup of warm water, add a spoon of honey, and half a teaspoon of oil or habatussauda extract. Mix and drink in the morning, either before breakfast or after dinner. 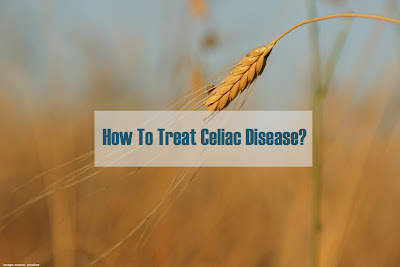 During this treatment process, avoid cold foods and carry allergens. 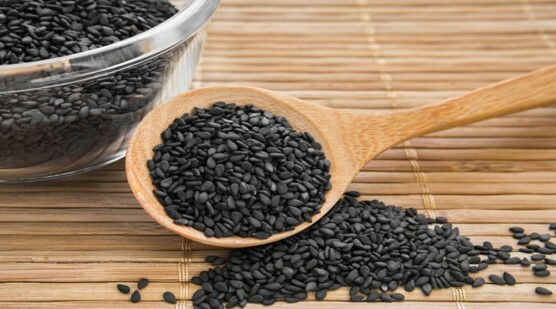 Fatty acids contained in black cumin can inhibit the development of cancer. Black cumin is capable of stimulating the productivity and immunity of bone marrow cells, as well as the production of interferon, protecting normal cells, and fighting tumor cells without damaging healthy cells. For cancer treatment, mix one glass of grape juice and half a teaspoon of Black Seed Oil. Drink three times a day. Treatment may last for forty days. In addition, you can also rub black cumin oil on the body affected by cancer for two weeks. Thymoquinine contained in black cumin is a very effective anti-inflammatory drug. You can use black cumin oil for an applied ointment on inflamed pimples. To prevent acne and smooth the skin, take a tablespoon of olive oil mixed with half a teaspoon of black cumin oil. Rub on face, then wash your face with soapy water after one hour. For the treatment of inflammation that occurs in the ankles and other joints, take a tablespoon of vinegar, two spoons of honey, and half a teaspoon of black cumin oil. Use this mixture twice a day to massage the inflamed part. Black cumin is also effective against bacteria known to be highly resistant to drugs, such as cholera-causing bacteria, E. coli, and Shigella spp. Thus, black cumin can also be used to treat disorders of the digestive system caused by bacterial infections such as abdominal pain, dyspepsia, diarrhea, and vomiting. To treat indigestion, take half a teaspoon of oil or black cumin extract mixed with a cup of milk. Drink the mixture twice a day. Or it can also be mixed with a teaspoon of ginger powder, and half a teaspoon of oil or Black Seed extract. Increase intelligence and prevent Alzheimer's. Black cumin contains linoleic acid (omega 6), and linolenic acid (Omega 3), so it is a good nutrient for brain cells to improve memory, intelligence, and relativity of brain cells so as not to senile fast. Black cumin also improves the micro (blood circulation) to the brain, and is particularly suitable for children of growth and the elderly. Benefits of black cumin seed is very good for use in order to smooth blood circulation. This seed is certainly needed to be given to people with blockage of blood vessels in order to avoid narrowing of blood vessels that make your blood flow uneven throughout the body.